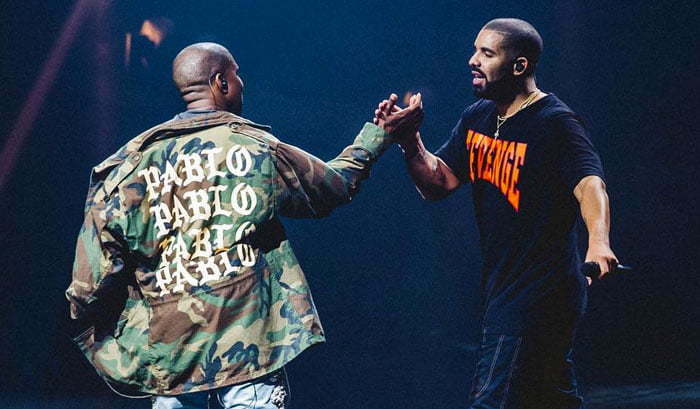 Drake and Kanye West rumored joint album could be coming sooner than we thought. This week a billboard popup in Los Angeles hinting that OVO and G.O.O.D. Music are working on something together. 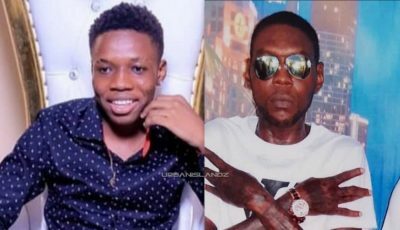 Sources inside OVO Music camp are saying that the two rap heavy weights have been quietly working on a joint album for a few months and things have finally started taking shape. 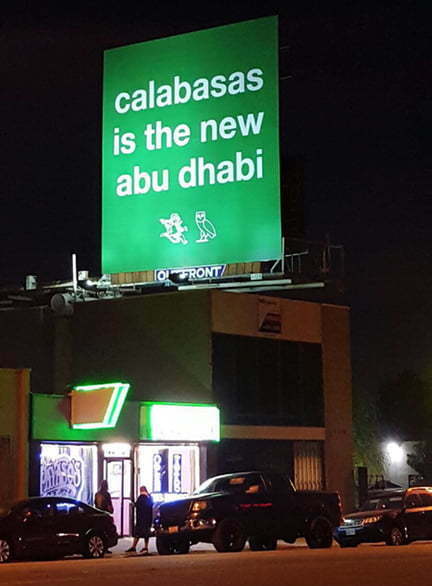 The billboard reads “Calabasas is the new Abu Dhabi” with the OVO and G.O.O.D. Music logos at the bottom. Photos of the giant ad appeared on Reddit this week. Drizzy has been using billboard to promote his albums and recently he used one to congratulate his girlfriend Rihanna on getting the Michael Jackson Video Vanguard Award at the 2016 MTV VMAs.